Spiral Implant is a dental implants official distributor company with headquarters in France, Israel and representative offices across the globe. It is a leader of the market for 25 years already. There are reasons for that: sustainable growth, constant development, and feedback from the customers. When you choose Spiral Implant products, you choose quality. We are sure that dental implants, abutments, and dentist tools shipped to our customers are efficiencient and best there could be. Thus we provide a lifetime warranty on products. Thinking customer-like, we provide fast delivery, personal consultant, 24/7 customer support, and affordable prices. Our customers can now purchase dental prosthetics, analogs, ball attachments, healing caps, etc., online. Knowing that the dentists have little free time, Spiral Implant composed a web catalogue with a precise description of each product. Worldwide trading experience for many years, only qualitative products, precise testing, feedback from the various customers – these reasons make Spiral Implant lead the sphere of implants.We believe in a lifetime partnership. Clinics and dentists from North and South America, Australia, Europe, Middle East and the Far East can confirm that. We contract world's best materials and readymade products suppliers that have preserved reputation and prime quality throughout the years. Our goods comply with the international standards EN 13485/ ISO, FDA Approval 510(K) Number K120530, CE 0473, ISO 9001:2008, ISO 13485:2003. Several stages of examination from Spiral Implant make sure that each item is sealed and bacteria-free. When it comes to reaching the standard, we never compromise. 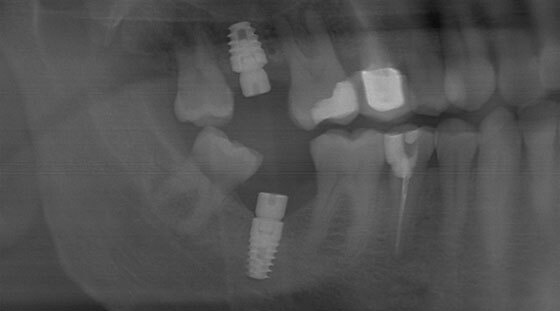 Spiral Implant understands that the needs of the customers are steadily growing. Our Investigation Department collaborates with leading universities and professional physicians. We are permanent participants and speakers of the conferences in the field.Spiral Implant knows that being the leader of the dental implants market is a duty, and we are always on our guard.